First, I want to thank you for such a great program you put together for the Dominator package. 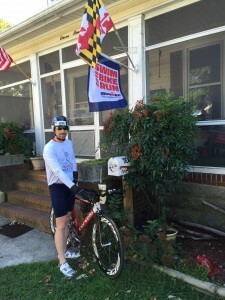 I used it to complete my first Ironman in Maryland, October 17th 2015. It lives up to every one of its claims! As a 38 year old professional working 45-60 hrs per week with 3 young kids I chose the program for the lower training volume. I’m happy to say that I’m still married and my kids still know my name! I also put on more lean muscle and trimmed down more than ever in 6 years of doing traithlons. The combination of targeted strength training and good nutrition helped more than I thought. I also got through 9 months without any training related injury (a feat for me!). Even when I did hurt my shoulder 1 week before the race due to an incident moving a dresser at home, the strength I had built up and the good swim form developed with the drills helped me heal fast and still clock a swim time under an hour. The race itself went off without much issue and I finished in under 12 hrs! I felt confident the whole time because of the training and preparation. 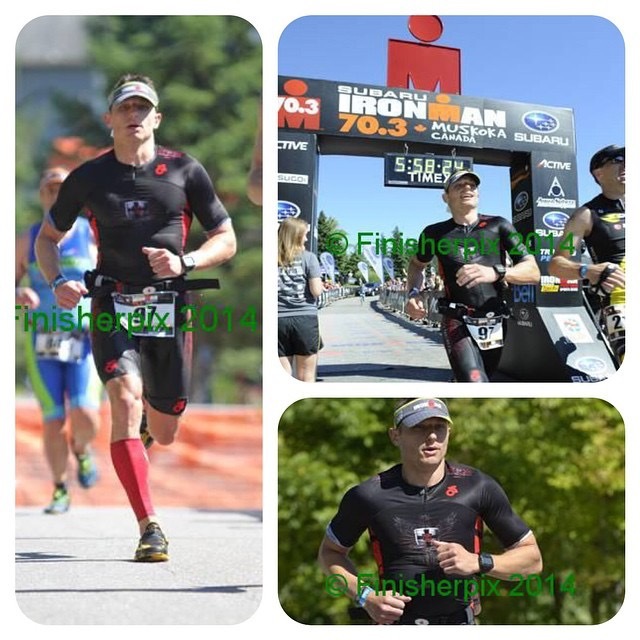 Using the Tri-Ripped training plan last season got my body toned and ripped, while increasing my power on the bike and allowing me to knock off an hour on the Ironman Run in 2014! This program is extremely efficient and produces great results. Ben is chalk full of good advice for improving athletic performance all while maintaining overall health! I’ve completed Tri-Ripped and the program gave me much success. When I started Tri-Ripped December 1, 2013 I was 163lbs and 12 % body fat. 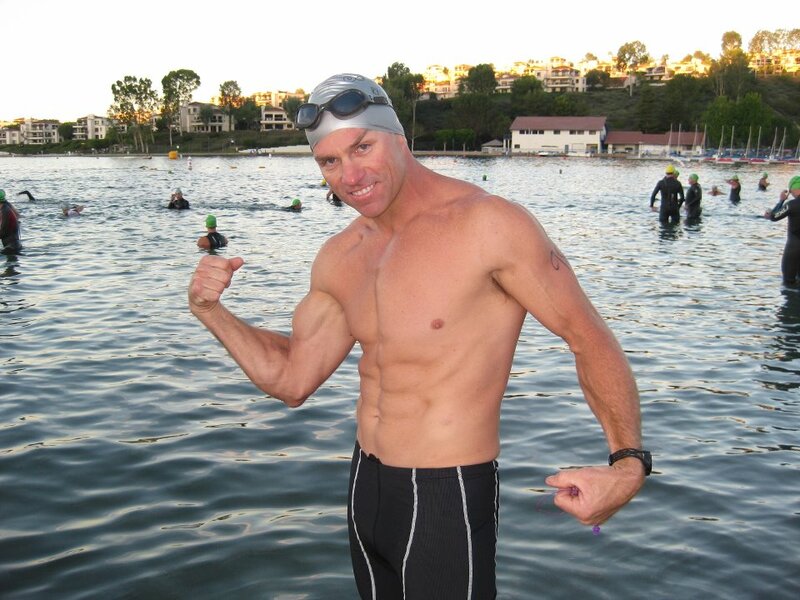 When I finished the program (along with a 90% Paleo Diet) I am now 150lbs at 5% body fat and an IRONMAN. Which was ideal race weight for Ironman Lake Placid last month. Syracuse Ironman 70.3 was June 22nd. It was my 3rd time doing that race. 1st time since I’ve been on tri ripped. My previous PR was 5:23 and my finishing time that Sunday was 5:04! And that’s even after they changed the course, making the run much harder. But that was just my tune up race leading up to IMLP 14′ I completed Lake Placid Ironman with a respectable time and feeling considering the horrible weather we were up against that day. Rain, Thunderstorms, Hail, Wind, Sun, Humidity… I think the only thing we didn’t experience was snow! 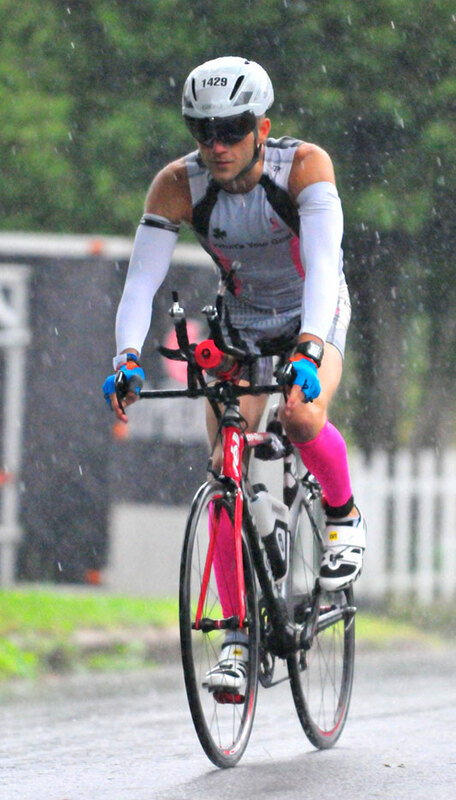 So dealing with the bad weather, I was happy with my overall race. Tri-Ripped has made substantial improvements in my swimming abilities. Strength and technique. 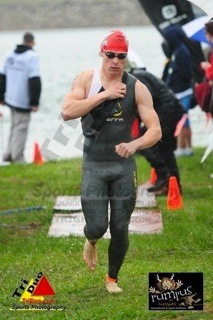 I’m not faster in the water using less effort that I was before at a slower pace. The Interval WO’s for the Bike portion in Tri-Ripped made the monotonous time spent on the ‘trainer’ in the cold winter months go by fast… I can’t say easy! haha I loved the weight training sessions. ‘FIGHTING CABLES’ with the Rower being my favorite. I’m now an Ironman, I’ve recommended your program to my neighbor who has also completed IMLP and used your Tri-Dominator Program. He is going to use Tri-Ripped next season. Let me know if you are interested in seeing my Training Log. I kept track of all my #’s, hours training, miles, nutrition macros, body fat, lbs, ect. Chris Caldwell showing off a semi-ripped form after just three weeks of the program. 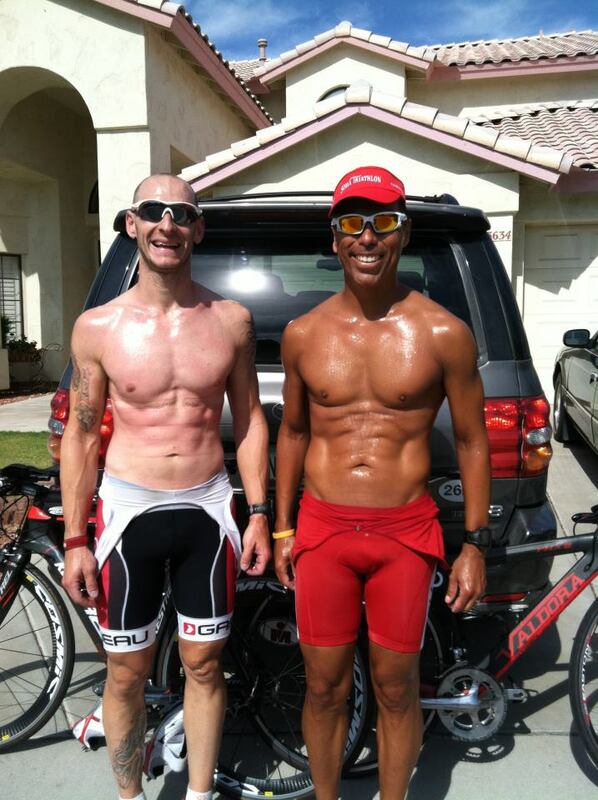 Tri-Ripped user Dan Cadriel (pictured above right) getting his flex on. -Went from 165lbs to 161lbs – but look as if I’ve gained a lot of muscle. – Saved about 4 hours a week in training time due the high intensity workouts. 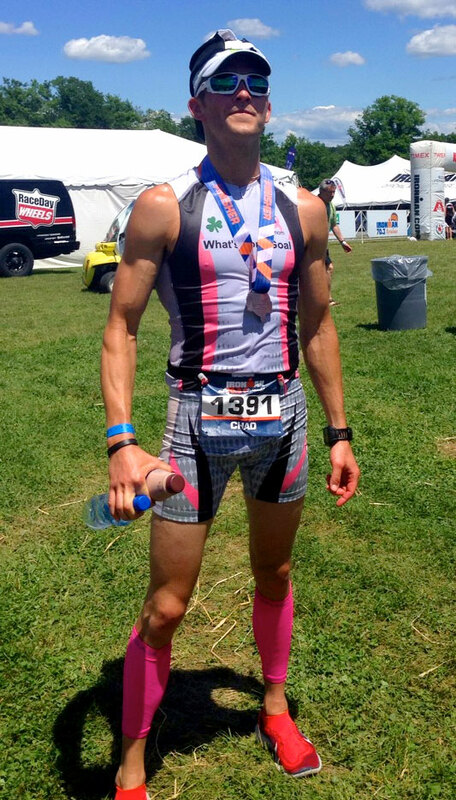 When I purchased Tri-Ripped I was skeptical it would turn me from from a skinny triathlete into a bodybuilder who happened to swim, bike, and run. After only 3 months of following the plan I did put on a significant amount of muscle, but I actually leaned out and lost weight as well! Did I mention I also improved my triathlon specific speed too? You lay out an easy to follow program that allows you to work the workouts around your schedule which is very helpful. Unlike other programs that expect you to put in hours of time on the weekends – taking time away from important things like spending time with your family. 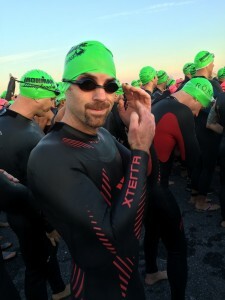 If you’re looking for a triathlon training program that is going to make you faster triathlete while also making you look good naked, then Tri-Ripped is for you! 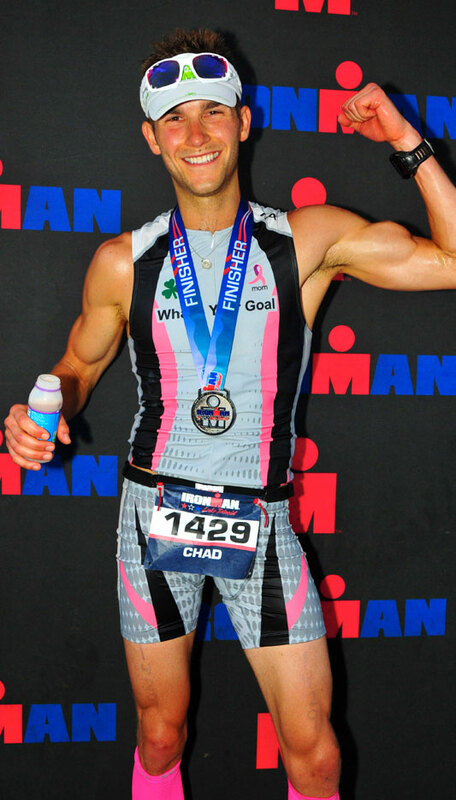 Click here for an audio testimonial from Tri-Ripped user Eric!